OK Moms…it’s time to stop the clutter freaks that live in our houses!!! It’s amazing how my house can start off clean in the morning (cause I cleaned it last night) and then within a few hours it’s totally trashed with clutter piles that spontaneously popped up throughout the day. When I ask whose clutter mess it is the fingers start pointing in every direction, but no one actually fesses up. I’m sure many of you moms out there go through this same thing and have had enough! Well I’m here to tell you that I’ve figured out a few things that actually make my kids de-clutter without putting up too much of a fight and I just had to share these with all my fellow moms who are living amongst the mess and want to escape. The first thing I did was create a Five Minute Cleaning Rule. My youngest daughter is the biggest clutter maker in my house, so now she has to speed clean for 5 minutes after dinner to clear some of her piles she’s made during the day. This doesn’t get my house spotless, but because it’s only 5 minutes she cleans without whining and gets rid of a few piles here and there. Because I tacked on the “speed” part, she goes super fast and thinks it’s funny and all the while, I’m the one giggling, cause I got her to clean up without having to nag. My youngest daughter’s best bud lives right next door and comes over often. He also helps in making several of the messes. So I told her to ask him to help clean up and to my surprise…he did! Now she asks him to clean on a regular basis and more clutter piles are slowly fading away. I also gave my daughter a garbage bag and told her that when she filled that up with old clothes or garbage…her choice…then she was done cleaning for that day and she didn’t whine or cry with that rule either. Win for me and for mom-kind everywhere! 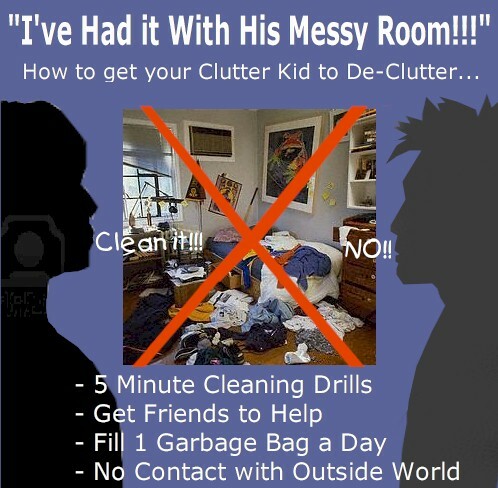 If all else fails and your kid just won’t clean, then I guess you’ll just have to ban him/her from any contact with the outside world till the inside world is clutter-free. If your child doesn’t have anywhere to put his things consider getting him one of our dressers or bookcases or storage bins or baskets, to help keep things organized. The fact is…where there are kids there is clutter. The best parents can do is learn some handy techniques to make the piles smaller and the kids more accountable for where they put their stuff. This may sound like an easy task, but because of today’s busy lifestyles it can be harder than you think. Below are a few easy things you can do to make your home “almost” clutter free. Cause as you know with kids, nothing is foolproof and works 100% of the time! Fortunately, by doing some of these things your stress level will go down making it easier to deal with the occasional mess that pops up. 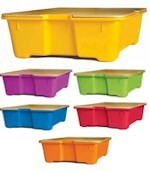 And your kids will learn the importance of keeping things organized! Set a time each night where you remind your kids to pick up their stuff. Tell them they have one hour to get all of their things out of the main part of the house and back where they belong. Set a timer. After the hour is up, put on your inspector’s cap and walk around the house. If you see a “kid thing” that’s out of place give your child one last reminder to put it away. If misplaced “kid stuff” is still visible, pick it up and toss it in the bedroom of whichever child is responsible for the item. The first time around, there may be a large pile, but each night the things you need to pick up will be less and less. Good thing about taking action is that it gets the clutter out of the main part of the house, relieving your stress and eliminating the tedious part of you having to figure out where it all goes. This puts the responsibility back on your child. Inform your kids that they are responsible for cleaning their rooms and that if they want to do anything fun with friends or family after school their room must be clean. Then when your child asks to go to a friend’s house or go fishing with dad…ask your child if he/she has completed the required room cleaning task. If the answer is “no”, they can clean it fast and go, if the answer is “yes”, they can go have fun right away. If that doesn’t work then decide on a weekly clean-up day where your child must clean his/her bedroom. When cleaning is involved, sometimes allowing your child to decide what suits him/her best really helps, so the final bedroom rules are up to you and your child! Getting the right kids storage furniture for the bedroom or playroom will also help your child stay more organized. To see some very functional, stylish and well built kids storage furniture visit us today at SimplyKidsFurniture. Even kids with small bedrooms seem to accumulate lots of stuff. This can make it a challenge to keep the room tidy and organized, but it is possible. Simply utilize spaces that most people don’t like walls, corners and under the bed and your child’s small space will be clutter-free in no time. To do this you’ll need to find unique storage options that fit into those odd places and it just so happens you’re in luck. Below I’ve showcased three incredible storage pieces that can be added to a kid’s small bedroom to offer big organizing options. This is bookshelf that can fit into any corner of the room to provide your child with three spacious shelves for keeping books, toys, games and more in order. This storage piece will be out of the way and not take up valuable floor space in your child’s small bedroom. It’s finished in a beautiful White stain that matches many decors and has a classic design to match lots of other furnishings. Talk about stylish storage space. This wall bookshelf has open and closed storage options within the unique, modern design to allow your child to display books and items he/she may need quickly and hide special treasures. It also adds style to a room and can match lots of other furnishings thanks to the white finish. 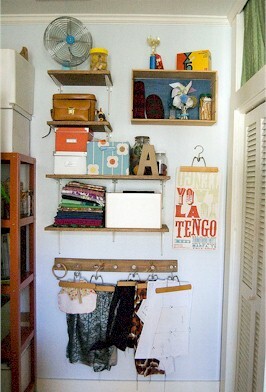 Because it hangs on the wall it will keep things organized and out of the way. This cool piece is two things in one. It’s a storage box with top, plus a play table. This play kit can store your child’s craft items and can fit easily under the bed to keep the space tidy and organized. It comes in many different colors, so if you get more than one your child can color-code his/her important items to know exactly where everything is.